Night and daytime creams to keep you bright-eyed, all the time. The best eye cream smooths fine lines and lessens wrinkles, reversing the appearance of aging. We found six formulas with the peptides, retinoids, antioxidants, and moisturizers necessary to get the job done. You’ll need to wear any cream daily for months to see effects on eye wrinkles and elasticity, but, in the meantime, their silky skin-feel and pleasant scent make them a joy to apply. Our six top picks and five runners-up for best eye cream. February 20, 2018 - We’ve updated our review to reflect the most recent research into anti-aging ingredients. We’ve also tested dozens of new finalists. We’re excited to recommend six new picks, all packed with the most effective ingredients we could find to help your skin battle signs of aging. We started by compiling a list of every eye cream we could find — 404 of them. We pulled from popular online beauty retailers like Ulta and Sephora plus retailers like Walgreens and Target, then we added in recommendations by established beauty brands like Cosmopolitan, Vogue, and Refinery29. Next, we reached out to dermatologists and cosmetic chemists for help deciphering ingredients and bold marketing claims. To ensure a safe and soothing formula, we avoided fragrances and other known skin sensitizers: ingredients like lemon or mint to which your skin may develop an allergic reaction over time. We also ditched products with drying alcohols — denatured alcohol, methanol, benzyl alcohol, ethyl alcohol. These can eventually hurt the skin’s ability to retain moisture. As we get older, our skin’s regeneration slows down by as much as 30% to 50%, losing elasticity and fullness. To combat this trend, you need moisture to repair and regenerate and collagen to build new, healthy skin. The one moisturizing ingredient that our experts unanimously champion: hyaluronic acid. Hyaluronic acid (HA) is most effective when it can reach the deeper layers of the skin (which is why it is a common ingredient for fillers and injections). Because it has a hard time getting past the outer layer of skin, HA’s salt derivative — sodium hyaluronate — is the best version for topical treatment. For collagen production, you need peptides or retinoids. Retinoids, related to Vitamin A, work more quickly than peptides to help skin slough off old cells and produce new ones. At high concentrations, you’re likely to see improvements in undereye wrinkles, skin thickness, and skin elasticity within four months. But the stronger and more effective the retinoid, the harsher it is. Peptides, newer to the field and less documented, has less risk of irritating the delicate skin around the eye area. A product with peptides or retinoids is the closest you can come to a true anti-aging eye cream. Apart from time itself, the main culprit behind skin damage is the sun. That’s why faces and hands tend to look more aged than chests or backs. Sunscreen is your biggest ally here, but antioxidants are also key in preventing skin cell damage. We ensured all of our finalists contain effective antioxidants. A retinoid cream that leaves skin pleasantly moisturized without feeling sticky. Looking for a retinoid-based eye cream for wrinkles? A medium-weight formula is the best place to start if you have normal skin. Kate Somerville Line Release Under Eye Repair Cream leaves your skin feeling hydrated and refreshed, with a substantial-enough consistency that you still feel the cream’s moisture on your skin 20 minutes or so after applying moisturized, but without the side-effect of greasiness. Kate Somerville comes in a pump dispenser, our favorite container style for this product, which doles out precise amounts of eye cream as needed. While other designer options carry a lightly floral (almost medicinal) scent on the first whiff, Kate Somerville is virtually odorless. Lack of perfume is important for skin sensitivity, but it’s also a boon if you are turned off by beauty products with potent or lingering odors. Over a hundred dollars for a small pump bottle, Kate Somerville’s formula soothes your face but not necessarily your budget. But ultimately, it’s better to spend money on an effective, quality product like this one than on a slew of unsatisfactory pretenders. A lightweight retinoid cream that absorbs quickly and was a tester favorite. Lightweight night creams absorb quickly: After a minute or two, it might be hard to tell you’ve put anything on. We’d recommend this category for people with oily skin — or for anyone who doesn’t like the texture of heavy lotions. 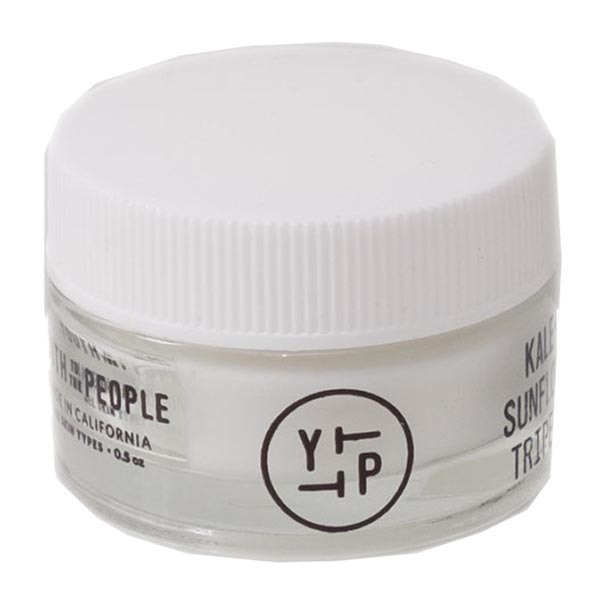 Of the many we tried, Youth to the People Age Prevention Superfood Eye Cream was the clear standout. 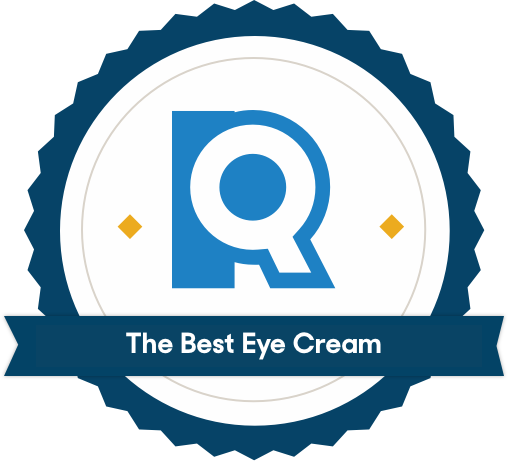 It received the highest absorbency rating of all our retinol-based night eye cream and left our skin feeling smooth and soft. YTTP holds the honor of being our testers’ absolute favorite — more people called it out as being “the best eye cream” than any other cream we had them try. The jury is still out on whether parabens are as dangerous in low, repeated doses as some report. 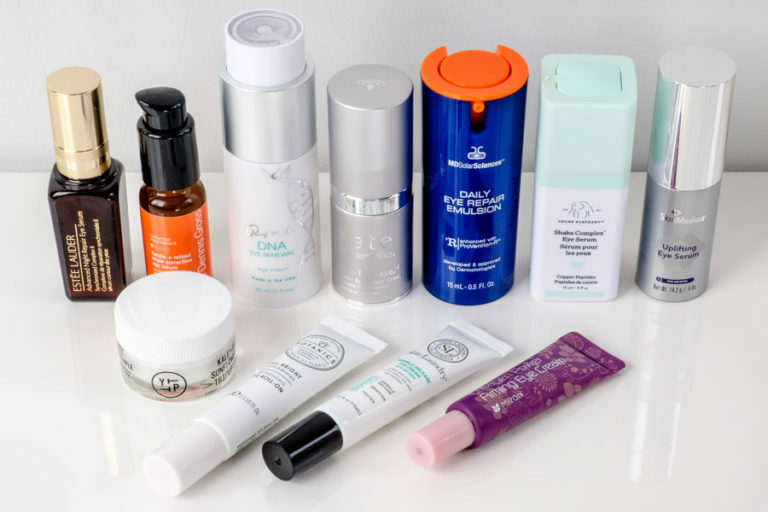 But if keeping the preservative out of your beauty regime is important to you, you’ll be glad to hear that YTTP is clear of it — the only eye cream out of all our top picks that can make this claim. YTTP has many positives, but it also has one notable downside: It comes in a jar, which exposes the ingredients inside to air and light more than a pump or squeeze-tube would. To preserve the potency of the cream, you’ll want to be extra careful to apply it only after washing your hands and store it in a dark, cool spot. A heavy, luxurious retinoid-based eye cream good for dry skin. 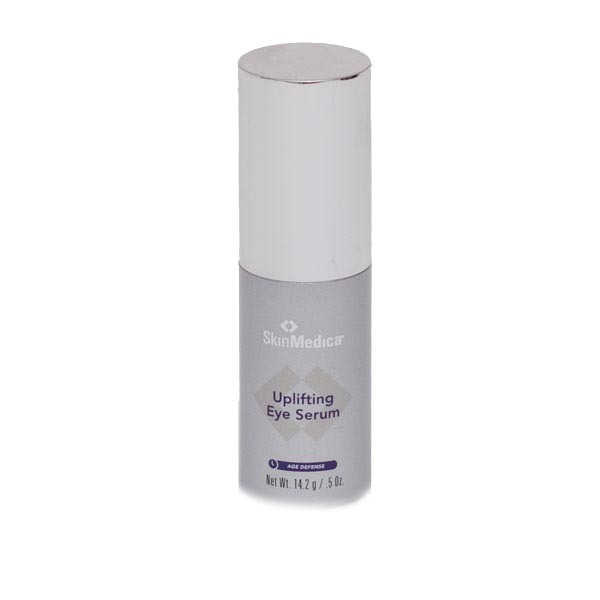 Only one of our retinoid-based products had truly heavy coverage: SkinMedica Uplifting Eye Serum. If you have extremely dry skin, SkinMedica has the power to provide an extra level of hydration that we didn't get anywhere else, with one tester describing the cream as "thick and luxurious." Most of our testers weren’t huge fans of this option. It was repeatedly called out for being sticky and “gloopy,” and several testers felt that it didn’t absorb into their skin at all, instead of sitting on top like the sunscreen your mom once dolloped on your nose. It all comes down to skin type and personal preference: What feels overpowering on oily skin is likely to be a blessed relief to someone battling constant dryness. A peptide gel that leaves skin feeling soothed and moisturized. 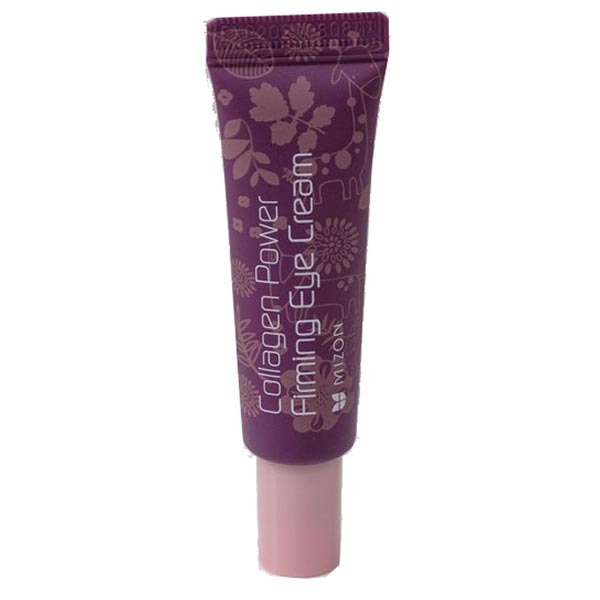 If you're looking for a peptide-based formula that can be worn during the day, coupled with middle-of-the-road absorbency, Mizon Collagen Power Firming Eye Cream is a sure bet. Testers noted that their skin felt smooth and moisturized with a thin residue that lingers like a layer of hydrating makeup. Testers had no trouble dispensing the right amounts with Mizon’s basic squeeze tube. Mizon retails for just under $10 — a steal in a market of hyper-expensive potions. If you’re someone who’s tempted to wash your hands after smoothing cream on them, then the barely-there residue of Mizon might drive you crazy. The hydration lovers among us found the lingering sensation of moisture to be just the after-effect they were looking for. A peptide gel that applies via roller ball and absorbs very quickly. For a lightweight, fast-absorbing day cream, Botanics All Bright Refreshing Eye Roll-On was our testers’ favorite. Skin feels smooth and moisturized with a barely-there layer of soothing, “invisible” coverage from this natural eye cream. Testers also loved the application style. 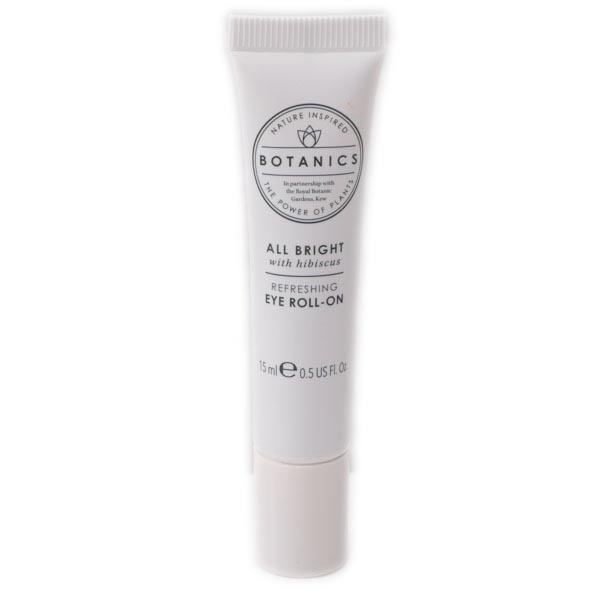 Botanics uses a squeeze tube with a metal roller ball that feels wonderfully cool under their eyes. A perky little morning wake-up, and a two-in-one boost to your daily prep if you’re also concerned with puffiness. You could even go a step further and store it in the fridge. Hovering between ten and twenty bucks, this smartly designed and formulated day cream is a bargain that feels like a splurge. We unanimously loved the ease and fun of the roller ball applicator, but noted that this application style does make it trickier to tell exactly how much product you’re using. A tester favorite, this luxurious peptide cream absorbs more slowly than our other daytime picks. Skin Laundry Wrinkle Release Eye Cream with Peptides leaves behind a silky, creamy skin-feel that testers pegged as one of their favorites. Unlike other thick creams, this one absorbs fairly rapidly. Your skin will feel nourished and moisturized, rather than greasy or sticky. Skin Laundry comes packaged in a tube, which makes it easy to dispense tiny, accurate amounts. While Skin Laundry’s luxurious consistency didn’t bother even testers who typically stay away from thick creams, know that if you have easily irritated skin, its density may prove over-slick or clogging. Do you prefer a morning routine to get you going or a night time routine to calm you down? That’s one consideration, the other is whether or not you want to use retinoids. These are present in night creams exclusively, and they remain the most fast-acting and well-researched anti-wrinkle agent on the market. "Retinoids are one of the most important ingredients in a skin care product. Most people should be using them." That said, this class of ingredient becomes ineffective when exposed to sunlight. Day creams contain peptides, a more recent entrant to anti-aging science that’s less sensitive to sunlight and less likely to irritate skin. The flipside: expect to wait longer for results. Next, decide whether you prefer a lightweight lotion that absorbs quickly — like Youth to the People (retinoid) and Botanics All Bright (peptide) — or a richer cream that lingers on the skin, like Skin Laundry (retinoid) or SkinMedica (peptide). If you’re not sure where to start, we’d suggest the medium-weight coverage offered by Kate Somerville's Line Release retinoid cream or Mizon's peptide cream. The less contact your eye cream has with air and sunlight, the better. Retinoids degrade when exposed to light and oxygen, becoming less effective, and peptides may also be susceptible to oxidation. Pumps and tubes are better at protecting their contents than open pots, and also make portioning out a small dab of product easier. Lack of portion control is an annoyance, but also a waste, particularly if you plump for a luxury favorite. Whether you choose a retinoid- or peptide-based product, take your time adding new ingredients to your skin care routine, particularly if you have sensitive skin. Starting by applying the cream once or twice a week, and give your skin time to adjust to the new routine. This is an easy way to check whether your skin is sensitive to the ingredients in your new eye cream — irritated skin will feel itchy and look red. If you’re using a retinoid-based night cream, irritation or redness may be a sign to switch to a peptide-based day cream instead. Paula’s Choice breaks skin types up into three categories: Dry, Normal, and Oily. To find yours, they advise washing your face and waiting two hours without applying any products. If your skin looks flaky or feels tight, you have dry skin. Shiny and slick? Oily. Neither? You either have normal skin or a combination of oily and dry sections. Can I wear night cream during the day? Because night creams contain retinoids, they aren’t recommended for daylight use. Retinoids are effective because they have a powerful exfoliating effect that scrubs away dead skin. Depending on the strength of the retinoid and the sensitivity of your skin, this exfoliation can make your skin more sensitive to UV radiation. One easy fix: Wear sunscreen on top. A better solution: Switch to a peptide-based eye cream. 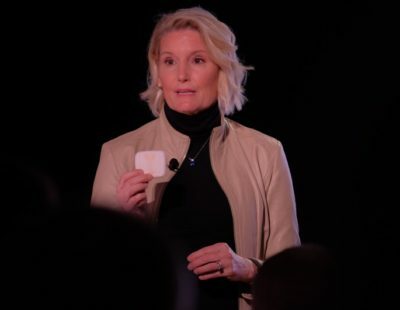 Dr. Shainhouse describes peptides as “small fragments of collagen and proteins that are meant to ‘trick’ the skin into thinking that its collagen is broken, and that it needs to make new collagen to replace it. Over time, it can help thicken skin and reduce the appearance of wrinkles.” Unlike retinoids, peptides are stable when exposed to sunlight (research suggests sunlight can degrade retinols and make them less effective). There’s nothing to stop you from wearing a peptide day cream at night. Does eye cream fix dark circles? Dark circles can be the result of genetics, a circulatory issue, or a natural consequence of aging: Dr. Greene explains that as we age, our facial anatomy shifts, which contributes to how smooth or uneven the skin around the eyes appears. There are plenty of eye cream ingredients that claim to improve blood circulation (like caffeine) or blood coagulation (like Vitamin K) which will theoretically reduce puffiness and dark circles. But the outer layer of your skin does such a good job protecting against invaders that it prevents most of these ingredients from penetrating deeply. Parabens are a class of preservatives commonly found in cosmetics, as well as other hygiene products like toothpaste, deodorant, and shampoo. 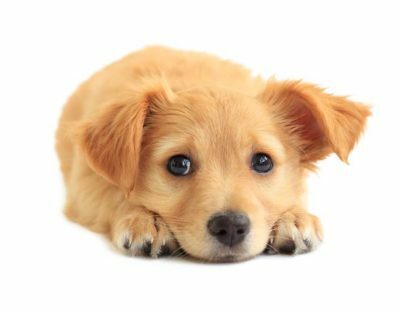 They’re used to prevent the growth of bacteria and fungi — things that you absolutely do not want around your eyes. But they’ve recently come under scrutiny out of a fear that paraben exposure is linked to some types of cancer. One of the larger questions surrounding parabens, particularly since 90% of typical grocery items contain them, is whether they are safe in small doses but become harmful as they accumulate in large doses. In other words, you might be fine if you have parabens only in your toothpaste, but not if they’re in every product you use on a daily basis. All of our consulting dermatologists and cosmetic chemists agreed that there is not currently enough scientific data to conclude whether parabens are actually harmful. That said, they encouraged those wary of parabens to seek out alternatives. The challenge is that there aren’t many. We could only find three paraben-free options after nixing other potentially harmful ingredients: Both of the glittery Olay eye creams are paraben-free, as is Youth to the People's medium-weight night cream. There’s also a fourth, if you can find it: Perricone MD Cold Plasma Anti-Aging Eye Treatment. But it’s not widely available from retailers like Amazon, Ulta, or Sephora, and we weren't able to bring it in for testing. What if my eye cream doesn't work? If you’ve been using eye cream daily for at least six months and still haven’t seen a difference, there are stronger options. Cosmetic injections and prescription-strength retinoids are two. Both will require seeing a dermatologist or plastic surgeon for a consultation. Fillers, usually composed of naturally hydrating hyaluronic acid, can be injected beneath the skin to plump and smooth wrinkles. A professional will help you determine what kind of dermal filler is best and where. Prescription-strength retinoid creams are another option for stubborn wrinkles, although they should be used with care. They have the potential to cause peeling, flaking, dryness, or acne flare-ups if you have sensitive skin. A dermatologist will be able to work with you to figure out what strength of retinoid is appropriate for your skin. We have been taking a magnifying glass to ingredient lists for years, and along the way we’ve built up relationships with dermatologists and amassed a lot of valuable information about what’s helpful and harmful in skin care. Check out our favorite products in the reviews below.